Possibly Apostrophe is a relatively new name on the scene in State College, but the faces are familiar. 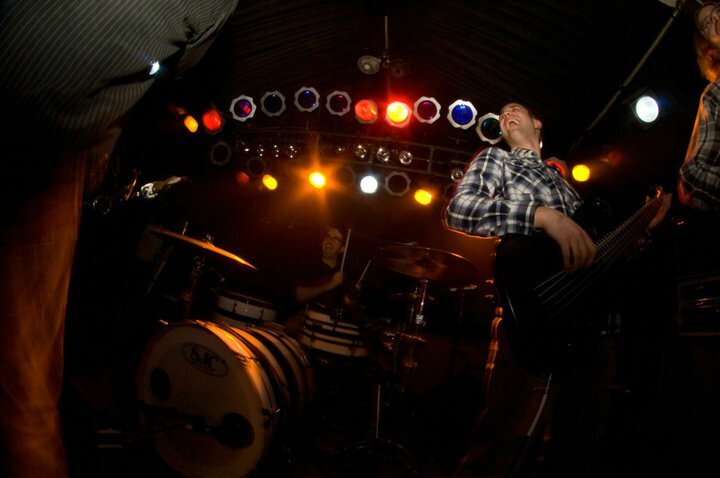 Their lineup includes: Jon Keller – Bass, Seth Mehle – Guitar, Tim Higgins – Guitar, and Pat Shahabian – Drums; all are either current or former members of local cover band – Public Domain. The guys decided to take on writing original music in addition to perfecting their high energy list of crowd-pleasing covers for house parties and Café 210 shows. A few weeks back the band released their debut album entitled “The Bison Bison Sessions” (FREE download, link below) to the delight of their fans who enjoy the technical yet tasteful arrangements. The group has decided to keep it all instrumental, deciding not to cloud their sound with vocals (after one listen, I think you’ll agree with their decision). Their Facebook page lists their genre as “user friendly” and after you listen to the album you can hear why. Their sound intersects numerous genres and emotional tones which highlight the eclectic mix of talent in musicianship and song-writing each member possess. We recently caught up with them to pick their brains on their new album, writing process and their opinions of the State College music scene. SITR: For those of us who may not have heard about Possibly Apostrophe, how did you get started and how long have you guys been playing together? PA: Possibly Apostrophe got started as a result of us jamming at our practices for our cover band Public Domain, and realizing that in addition to having a great musical chemistry, we all enjoyed playing and writing original music much more than playing covers. We took every opportunity we could to write, which mostly consisted of us jamming and just having a good time. We’ve been playing together for about a year and half. SITR: Your introduction to the world is the live tracked instrumental album entitled “The Bison Bison Sessions.” You seem to span multiple genres and tones from ripping guitars to baby-making funk. Was there a conscious effort to keep it varied? PA: There definitely was a conscious effort to keep it varied, and I even remember Pat suggesting how we shouldn’t limit ourselves to just one genre. Although overall we have similar influences, we have as many different ones, and not limiting ourselves to one specific sound allowed us to really explore a variety of styles. SITR: The music does a great job of speaking for itself, have you ever considered adding vocals? PA: Although the idea might have been thrown around once or twice, we have never seriously considered adding vocals. We felt that vocals wouldn’t fit the music we were writing, and if anything, would take away from it. We didn’t want to write our parts having to consider whether lyrics would work over them. Once we realized that we weren’t going to have vocals it forced each of us to become more tasteful in our writing, knowing that the instrumentals were going to be the main focus. SITR: You mentioned the tracks spawned from months of jamming. Can you talk about your process from the first time jamming on a potential piece to the tightly composed final product? PA: Improvising as a band was a big part of our writing process from the start, but we really found our sound and became better writers once we started recording and then listening to and evaluating our jam sessions. Recording our improv sessions allowed us to remember ideas that would have otherwise been lost, and also allowed to realize what parts we liked and what parts we could do without. Sometimes our improv sessions were based on a part written by one of us prior to the practice, and sometimes our improv sessions were based on the first thing someone spontaneously played when we sat down. From there we would listen to the recordings, trim the fat, and then revisit all of the parts we liked until the songs were structured. I think this style of writing really added an organic feel to our songs, and it really allowed us all to unlock a lot of creativity. 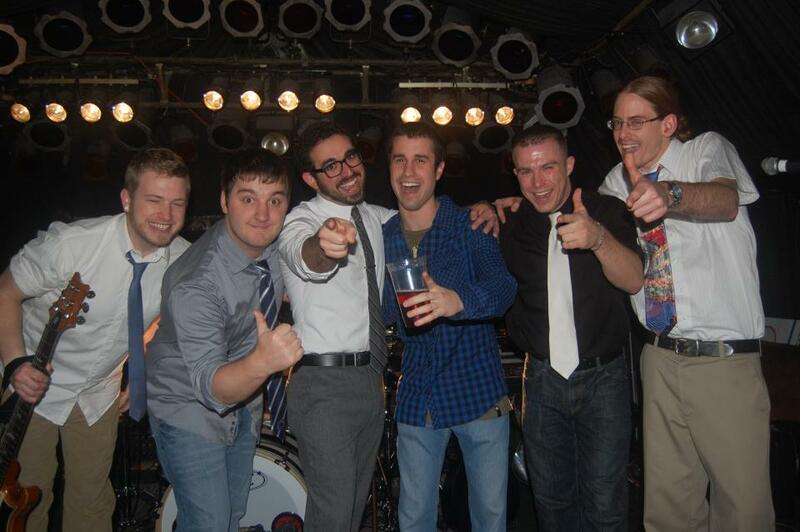 SITR: Your lineup is composed of mostly original members of the popular State College cover-band, Public Domain. 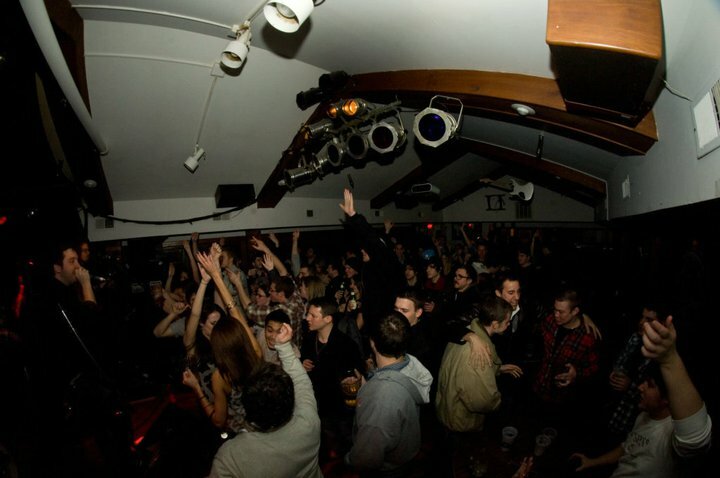 With the shifting pieces of both bands, what can we expect in 2012 for Public Domain? PA: Public Domain just got a new drummer, Kyle (taking over for Pat), who’s been doing an awesome job. Public Domain will continue playing Thursday nights at Café 210, with new additions to the set list as the semester goes on… And who knows, maybe Ian (taking over for Jon) will do the stage flip this semester. SITR: What does the future hold for Possibly Apostrophe? More albums, shows? PA: As far as Possibly Apostrophe goes, we’re most likely playing a show in the Berks area early February, and we’ll hopefully be able to play some more shows on some random weekends. We’ll also be uploading a recording of a live show, which will include some new songs not currently available for download. With Pat being at his internship, it’s hard to say when we’ll be able to write more as the Possibly Apostrophe lineup. However, Tim, Seth, and [Jon] are currently writing with our friend/drummer Brad, and we hope to have another album recorded by the end of this semester. We’ll also probably be doing some writing with Public Domain’s new drummer Kyle as well. We’re excited to see what this next semester will bring, and we wish Pat the best of luck with his internship. SITR: What is Possibly Apostrophe’s take on the music scene in State College? 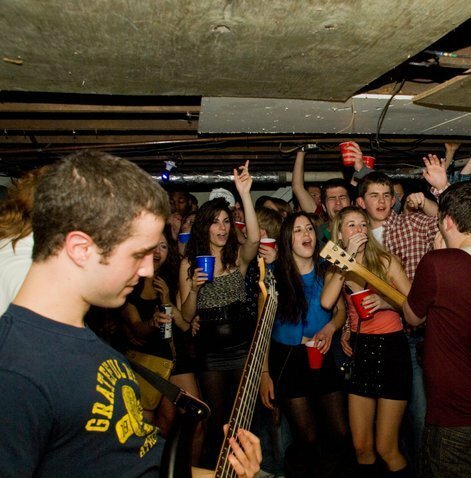 PA: We all wish that there was more acceptance of original music in the State College bar scene, but understand why people enjoy cover bands and why cover bands are appropriate for the scene. With Public Domain, we always tried to work in as much original jamming into the covers as possible. Regardless, what it comes down to is having a good time, and we think that there are a good number of bands that achieve that. We definitely recommend seeing Royal Benson, Ted & the Hi Fi’s, Pure Cane Sugar, and bluegrass nights at Zenos. But even more than that, we recommend interacting with the local musicians and listening to what original material they have to offer. Jeremy Fretz is an amazing acoustic guitarist, and Zach Sobel has some real chill originals. Even though they’re likely not local, check out what bands are playing at the State Theater. Overall, don’t just settle for the cover bands you can hear at any bar on any weekend here. SITR: What words of wisdom would you pass on to those balancing time between school/work and practicing/playing music? PA: Although school is the priority while you’re here, if you play an instrument don’t let it fall to the side. Playing music is great stress release, and I’ve met some of the greatest people and have had some of the best times of my life as a result of playing music. It truly is a very rewarding hobby.